Jeff Brady has been involved in all things involving the written word in Skagway since moving to Alaska in 1978. Jeff grew up in Hickory, North Carolina and immersed himself in books early in life. He balanced a love of sports and the arts, writing up basketball games for the town daily and poetry and short stories on the side. He won a NC high school poetry contest in 1974 and also was published in his college literary magazine. At UNC-Chapel Hill, he reached the Honors in Creative Writing program and began work on a novel, but eventually his focus turned more toward history, journalism and the outdoors after spending a couple of summers working in Alaska. He earned his degree in American Studies, and shelved that novel when he moved north permanently to start a newspaper in Skagway. Jeff was editor and publisher of The Skagway News from 1978 until selling the paper in 2015. During his tenure, the paper won numerous writing awards. In the mid-1980s he also established the town’s bookstore, Skaguay News Depot & Books, and a small regional press, Lynn Canal Publishing, which he still owns. In 2013, Jeff finished his tome, Skagway: City of the New Century, a historical reader with many articles written by himself. A revised and expanded paperback edition will hit the streets in spring 2019. He still writes an occasional column for the newspaper, “Under the Boardwalk,” and one of his pieces won the Humor Award from the Alaska Press Club in 2017. Jeff is now semi-retired but still raising a family. Before selling the paper, Jeff and his wife Dorothy embarked on restoring three old family homestead cabins on West Creek in Dyea for the Alderworks Alaska Writers and Artists Retreat. They have been hosting summer residencies there since 2016. Their vision for Alderworks meshed beautifully with the “Alaska Literary Renaissance,” of which North Words has played a significant role. Jeff jumped at the chance to help his friends Buckwheat and Dan get this symposium going in 2010, and also supports regional arts projects and scholarships through the Margaret Frans Brady Fund, in honor of his mother. 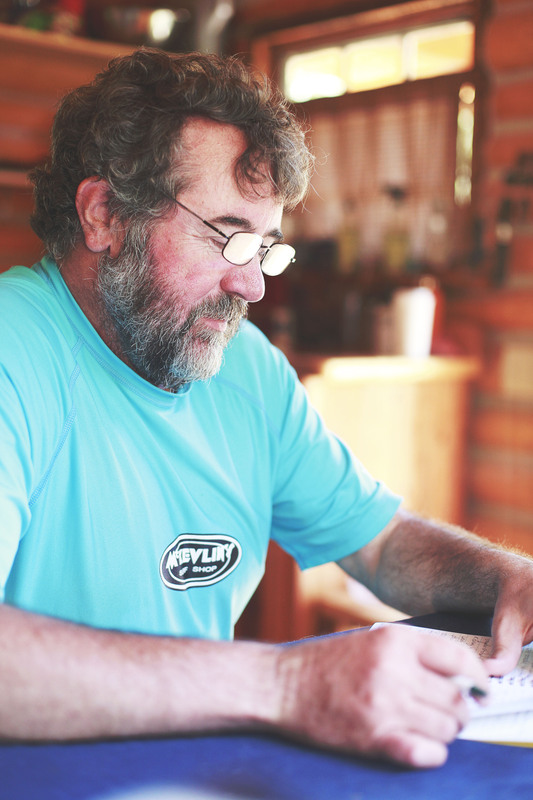 In the meantime, between Alderworks projects, Jeff is working on some cabin poetry and hopes to finish that novel when he has the place to himself in the winter.